1. Newcomers — For just the third time in 40 years, two new schools have crashed the Final Four for the first time. That’s right, Auburn and Texas Tech are making their maiden appearances in the Final Four. 2. Break on through – Two years ago, Gonzaga and South Carolina made their first Final Four appearance. In 1996, both UMass and Mississippi State broke through. In 1979, Penn and Indiana State (led by Larry Bird), made it to the Final Four. None of those schools has ever been back. 3. 11 Bridesmaids — Here’s a list of 11 major schools who have never made a Final Four. 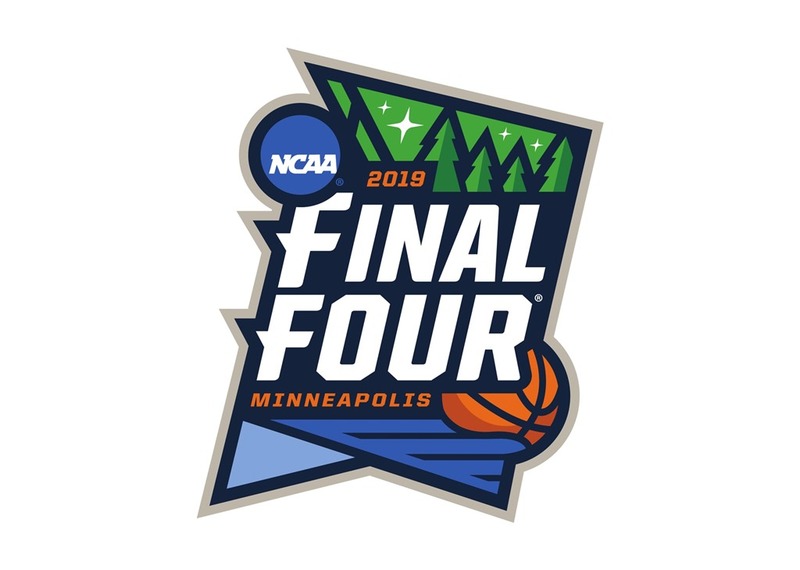 In no particular order, Tennessee, Boston College, Northwestern, Alabama, Miami (Florida), Ole Miss, Xavier, Texas A&M, Missouri, TCU and Arizona State are still looking for that last dance….as are many others. 4. Zion-ara – Duke’s Zion Williamson is gone from the tournament, but soon to be heard from as the No.1 pick in the NBA draft. 5. 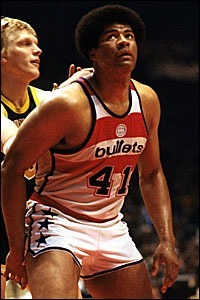 Zion-like – A player remindful of Zion is Wes Unseld, left, the former Louisville and later Baltimore Bullets standout. Both are 6’7”, although Williamson outweighs Unseld by 40 pounds. Wes was a transcendent talent out of Louisville who won both NBA Rookie of the Year and MVP in his first season, 1968-69. Only other player to do that was a guy named Wilt Chamberlain in 1959-60. 6. Chalk Men – Bracketology is not rocket science. But the constant parade of experts picking #1 and #2 seeds in each region is laughable. Show some guts, pick an upset. Geez Louise. 7. Low Seed Madness — This year, for the first time since 2012, a team seeded 7th or lower did not make the Final Four. Wichita State (9 in 2013), UConn, the eventual champion (7 in 2014) and Kentucky (8 in 2014), Michigan State (7 in 2015), Syracuse (10 in 2016), South Carolina (7 in 2017) and Loyola-Chicago (11 in 2018) all beat the odds. 8. 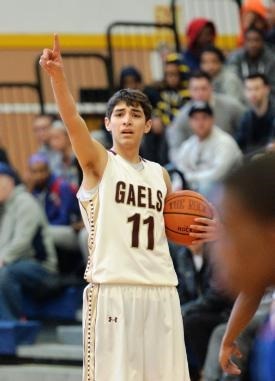 High school link — Ty Jerome, Virginia’s standout guard, is making Iona Prep proud as he tries to steer the Cavaliers to their first national championship. Jerome, right, had 24 points, five rebounds and seven assists in UVA’s 80-75 OT win over Purdue in the NCAA’s South Regional final. 9. Sparty nation — Of the four finalists, only Michigan State has won an NCAA championship. The Spartans won with Magic Johnson in 1979, then Tom Izzo coached them to the 2000 title. 10. A new champion — The last time none of the Final Four participants was a previous NCAA Tournament champion was 1990. UNLV beat Duke that year. Arkansas and Georgia Tech were the other semifinalists. The same thing happened in 1989. Michigan beat Seton Hall in overtime. Illinois and Duke were also part of the group. Cut the underdog talk Tom Brady. Please, Patriots, spare us the rap. Nobody buys it. It’s bad enough you have the best quarterback and coach of all time, and that you’ve been to the Super Bowl nine times since 2002. Nothing but five Super Bowl rings already. Does New England understand how Las Vegas odds work? Here’s a simple lesson. That +3 in your column means the Patriots are favored to beat the Rams by three points. The Rams – with the young coach and quarterback and the inexperienced squad – are clearly the underdogs in Super Bowl LIII. Amazingly, the Patriots could just as easily be 8-0 as 0-8 in Super Bowls in the Brady-Belichick era. 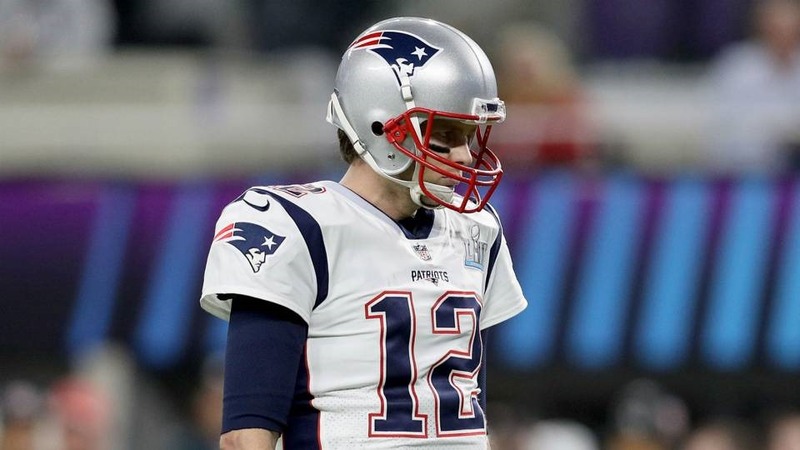 The Patriots won their first three Super Bowls on field goals, and later added an end-zone interception to beat Seattle and a record-setting 31-point comeback to stun Atlanta in overtime. On the other side, the Pats came close to beating the Giants twice and the Eagles last year before falling short at the end. Who’s the best quarterback never to play in a Super Bowl? Two Charger greats top the list – Hall of Famer Dan Fouts and Philip Rivers, who lost to the Patriots in the divisional round of this year’s playoffs. Hall of Famer Warren Moon, Randall Cunningham and Archie Manning are also on the list nobody wants to be on. The best never to win a Super Bowl? That honor goes to Miami’s Dan Marino, whose Dolphins lost to San Francisco in 1985, his second season….and never made it back. Fellow Hall of Famers Fran Tarkenton and Jim Kelly made the big game multiple times, yet never came out on top. RICK’S PICK: I’m an NFC guy who would love to see the Rams win. But my head tells me New England, 31-20. Randy Newman would love it. So would southern California. And all those fans who hate the New England Patriots would have reason to cheer. Imagine an all-Los Angeles Super Bowl? The Los Angeles Rams vs. the Los Angeles Chargers. In 52 previous years, never have two teams from the same city played in the Super Bowl. It would be a first, and quite an accomplishment for a city that suffered more than two decades without an NFL team, from 1995 until 2016. The city of Los Angeles does own one Lombardi Trophy – but neither the Rams nor the Chargers won it. Rather the Raiders, temporarily removed from Oakland, beat the Washington Redskins, 38-9, in Super Bowl XVIII. The Rams did win Super Bowl XXXIV in 2000, beating the Tennessee Titans. But that Rams team called St. Louis home. The Los Angeles Rams appeared in one Super Bowl, but lost to the Pittsburgh Steelers 31-19 in 1980. The LA Rams won their only NFL championship in 1951 over the Cleveland Browns, 24-17. The Cleveland Rams won the NFL title in 1945, defeating the Redskins 15-14. 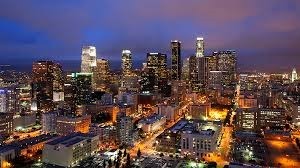 The team moved to Los Angeles the following season. The Chargers, representing San Diego, played in one Super Bowl. In 1995 they were crushed 49-26 by the San Francisco 49ers in SB XXIX. The Chargers called LA home in their inaugural year in 1960. They moved to San Diego in 1961, and won their only AFL title in 1963 when they beat the Boston Patriots, 51-10. When I go to games with my long-time friend and high school buddy Matty, bad things happen to our teams. Incredibly bad things. We affectionately refer to it as The Jinx. The Jinx spans sports and the ages. We’ve seen the Giants crushed in the Super Bowl, the Yankees blanked in both games of a doubleheader, the Knicks lose buzzer-beaters. And so much more. We’re afraid to speak on the phone when the Yankees or Giants are playing for fear of jinxing them. 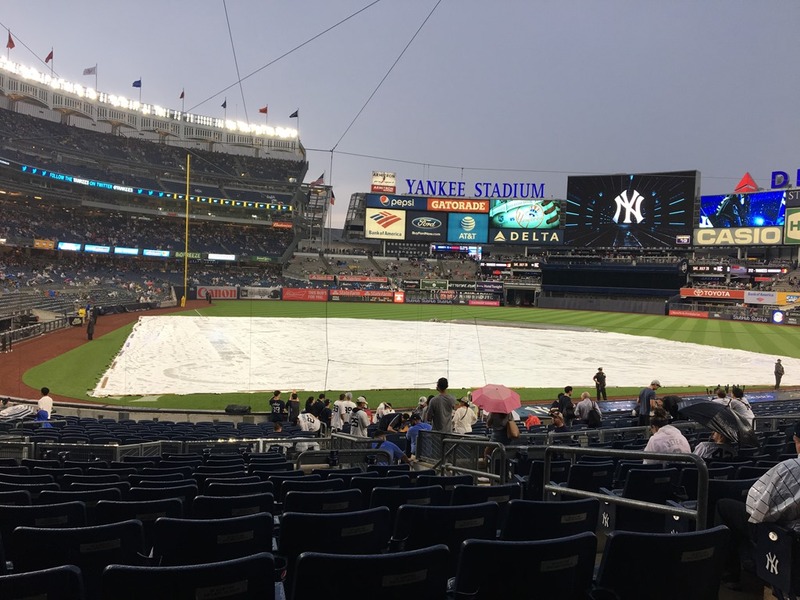 But The Jinx may have reached a new high…or low depending upon your point of view…..on a rainy Friday night in July in New York. The evening started out in fine fashion when. Matty nabbed box seats, right behind home plate, for Yankees-Royals at the Stadium. But it rained the whole time we were there, the tarp was never taken off, and finally the game was postponed. Bummer. So now Matt and I are on a crowded subway heading back downtown. We pull into the Fulton Street station, I reach into my pocket….and realize to my horror my cell phone is gone. Matty quickly calls my number and to my amazement a guy named Zack answers. Sure I’ve got your phone he said, I found it sitting on a bench at the 149th Street Station in the Bronx. Shortly after we’re turned around, going back uptown to meet Zack, who’s at 75th and Amsterdam. My man Zack answers the door with a Yankee cap (he too had been at the game), and handed over my iPhone. He refused a monetary reward but did accept the gift of a CC Sabathia bobblehead doll. Zach if you’re reading this you are my hero. And while calculating the odds of recovering a phone left in a South Bronx subway, I will pass it along. The story doesn’t end there. As soon as we left Zack’s place a monsoon hit Manhattan. No shelter from the storm. We got drenched. Finally we find the subway and head back downtown to the Oculus Station at the World Trade Center to take the Path train under the river to Newark. We make our connections, and then rush to make the Jersey transit train for the last leg of our journey back to Fanwood. We’re just about 10 minutes into the 30-minute ride when the train comes to a stop at the Union Station Keane University stop. A half hour later we’re informed that a vehicle hit a bridge up ahead of us, and that we can’t move until the bridge passes inspection. Well finally, about an hour and a half later, we’re cleared to go and make our way home. The Jinx. You can’t make this stuff up. Matty and the Jinx – the original top 10 list. GM Brian Cashman has made many shrewd moves the past several years in making the Yankees a contender once again. The acquisition of Sonny Gray isn’t one of them. Cashman dealt three prospects – James Kaprielian, Jorge Mateo and Dustin Fowler — to the Oakland A’s for Gray before the trade deadline last July. At the time, most thought the Yankees were getting a solid, young No. 2 starter. 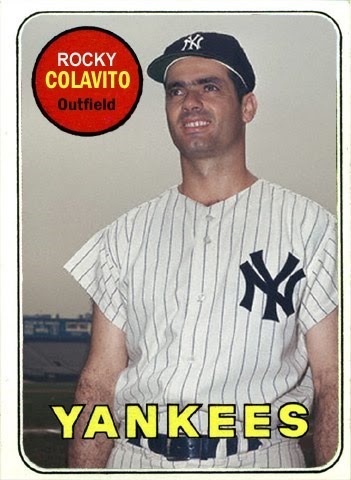 Instead, Sonny has evoked nightmare visions of guys like Ed Whitson, Carl Pavano, Kei Igawa, Javier Vasquez and Kevin Brown, all of whom flopped in pinstripes. Facing the Red Sox on the last day of June, Gray crumbled in the first inning. After retiring the first two batters, Gray loaded the bases and then surrendered a grand slam to Rafael Devers. 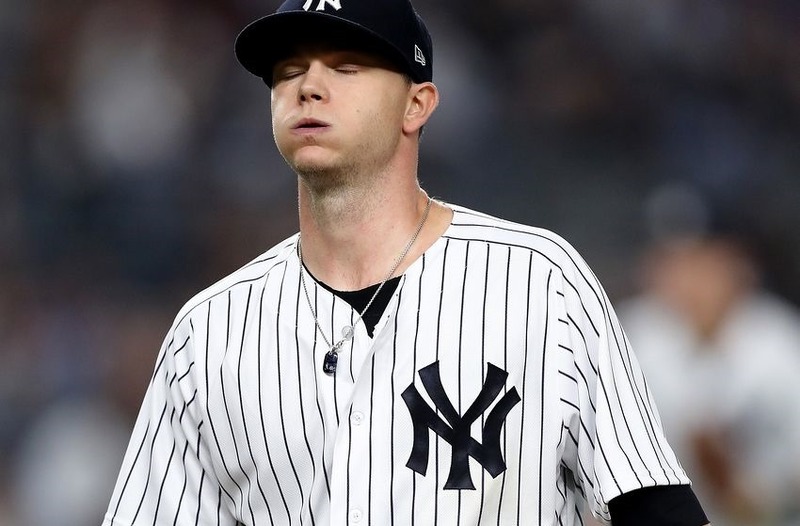 He couldn’t get off the mound fast enough midway through the third inning, trailing 6-0 with boos cascading down from irate Yankee fans..
Statistics tell the story, and it’s not good one. In fact, Gray’s performance as a Yankee has been historically bad. All Yankee pitchers are expected to pitch well at home….and show a propensity for beating the Red Sox. Gary has done neither. Since coming to the Bronx, Gray has a 4-6 record and a 7.10 ERA, highest of any Yankee pitcher in history who has started at least eight games at Yankee Stadium. This year, Sonny has an 8.25 ERA in eight home starts, the worst in Yankees history. Pavano was the previous leader in this dubious category with a 6.89 ERA. Against Boston, the Yankees have lost all four of Gray’s starts in the past two seasons. His ERA against the Red Sox is 9.35, better only than Jose Contreras (16.43) and Andy Hawkins (14.44). In eight career starts against the Red Sox overall, including his lone win while a member of the A’s, Gray is 1-6 with a 6.98 ERA. At least you got something right, Sonny. It was 20 years ago today that I witnessed a piece of baseball history. 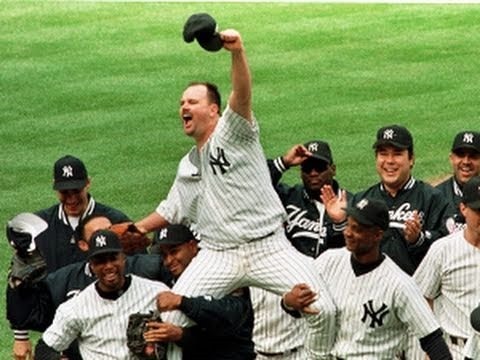 On a chilly Sunday afternoon, Beanie Baby day at Yankee Stadium, Yankees southpaw David Wells carved out a slice of baseball immortality by pitching a perfect game against the Minnesota Twins. 27 men up, 27 men down. My sister Aimee came up with four tickets in the lower stands in right field, and my son Dan, then 12, nephew Sean, 7,and brother-in-law Jack saw a game for the ages. 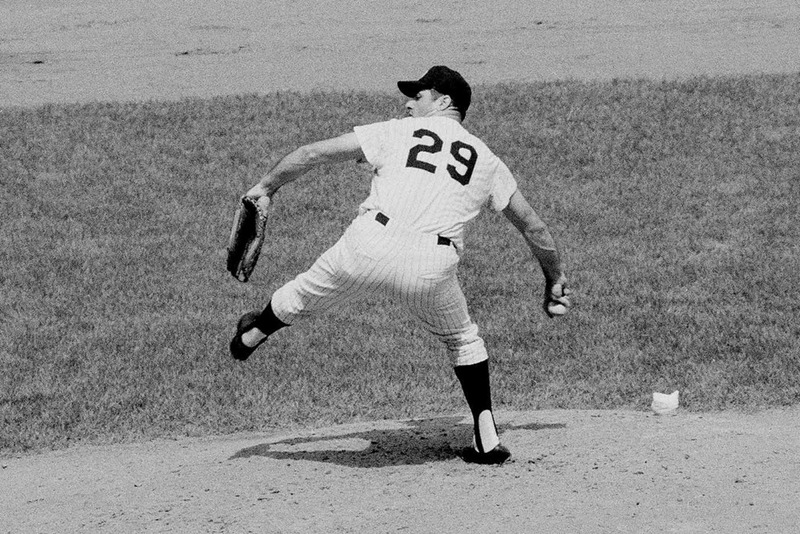 That day, Wells threw the first perfect game for the Yankees in nearly 42 years, going back to Don Larsen’s masterpiece against the Brooklyn Dodgers in the 1956 World Series. Amazingly, Wells and Larsen graduated from the same high school, Point Loma, near San Diego. There were several interesting sidelights to that game. For one, I just missed catching a home run ball by Bernie Williams in the fifth inning. If you go back and look at the videotape, I’m the guy in the orange windbreaker who gets shoved out of the way on Bernie’s blast. A father sitting in the row in front of us kept getting up to buy food for his kids. Then after seven innings he announced he was leaving. My brother-in-law and I were incredulous. We both asked him if he knew what was going. He realized a no-hitter was in progress, but responded that he wanted to beat the traffic. Jack and I just shook our heads and laughed. Lastly as we left the Stadium, I turned to Sean, who had just seen the second major league game in his life. I told him he could go to a game every day for the rest of his years and never see another perfect game.